Santa Cruz took the fun-loving, shreddy spirit and adjustability of the beloved aluminum Chameleon but evolved it into a lighter, faster, more advanced species. It’s a do-it-all hardtail that is as happy making the most of backyard booter (mis)adventures as it is fully-loaded with camp gear and a color-matched dangle mug. Speaking of color-matched, the custom blue Hope hubs and headset on the SE kit make this reptile stand out from the crowd. Two bottle cage mounts, including a triple-bolt cargo cage mount under the downtube mean you can escape from the crowds, too. 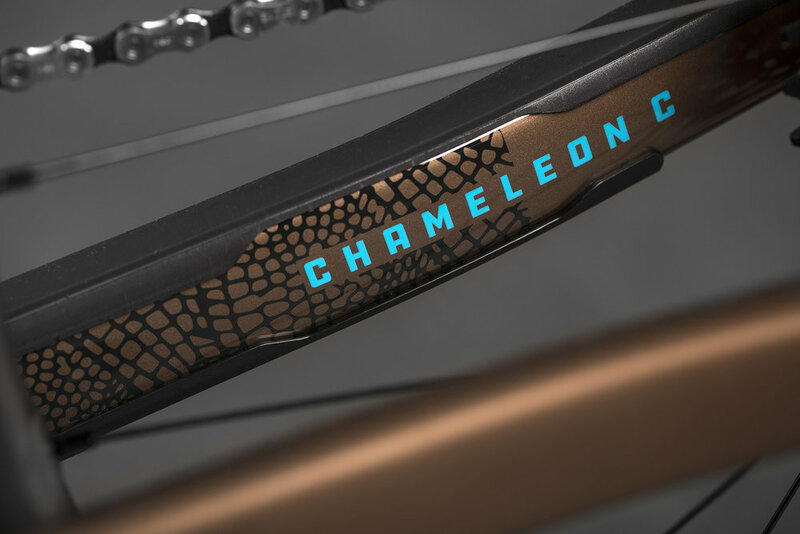 The Carbon Chameleon changes to suit its environment. Twenty-niner or 27.5+, geared or single-speed, this adaptable hardtail utilizes a suite of simple, swappable dropouts to convert it from aggro trail charger to single-speed racer to husky bikepacking mule, or anything in between. The most versatile bike in the Santa Cruz range ticks even more boxes. Medium or Large? If you are as quick as a lizards tongue, you can have one of the first custom blue Hope SE carbon Chameleons landed today in NZ. Everyone else will need to wait late Feb when store stock lands.